Make your own whimsical and colorful fruit and vegetable markers for your garden! Discover the joys of glass fusing while creating your own unique garden and/or plant stakes. 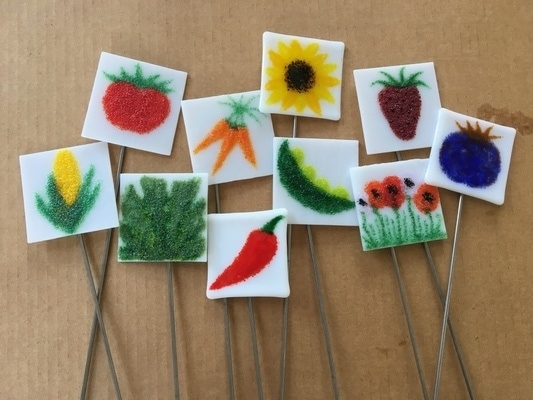 Use colored glass, frit, stringers, and embellishments to create beautiful fused glass garden markers in the kiln. Learn how to safely assemble and design with flat glass. You will create the perfect 3" x 3" handmade garden and/or plant stake in this fun and informative workshop.